Celeritas is a Latin word meaning swiftness. It is appropriately linked in science to the speed of light, and is often abbreviated with a simple "c" signaling a speed of 671 million miles per hour. I have thought a lot about light recently. 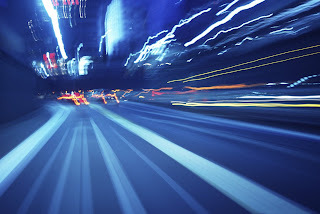 From the perspective of a scientist, the speed of light is highly unusual because it is so absolute. The speed of ordinary objects depends on the frame of reference in which the speed is measured. But light is weird. Its speed does not depend on its frame of reference which results in a really odd conclusion - two things that we often think of as constants - time and space - are actually not constants at all. What is constant is the speed of light. And if the speed of light is constant, it is not possible for either time or space to be absolute. But perhaps even odder yet, especially to a chemist, is the idea that matter, often thought to be conserved in any change, is actually not conserved; and that energy, also often thought to be conserved in any change, is actually not conserved. Because, according to Einstein, matter is just a condensed form of energy. Matter is not absolute, energy is not absolute. But guess what? The ratio of the energy change to the mass change in a given process is equal to an absolute - yes, the speed of light squared. How weird is that? Matter, time, space and energy, the four dimensions that literally box in our existence, are not absolutes. I am fascinated by this, because as a child I could never understand why God made light on the first day of creation (Genesis 1:3). My young mind thought it would make sense to make a sun first and then make light. Who would imagine writing a creation story where the sun was made after light existed? This would be crazy talk for a narrator of creation. Unless that narrator of creation was the Creator God, who knew, long before we did, that light was more absolute than the sun, more absolute than the earth, more absolute than space or even time! I certainly cannot completely search the mind of God, but I do take great pleasure in the beautiful consistencies of his ways.